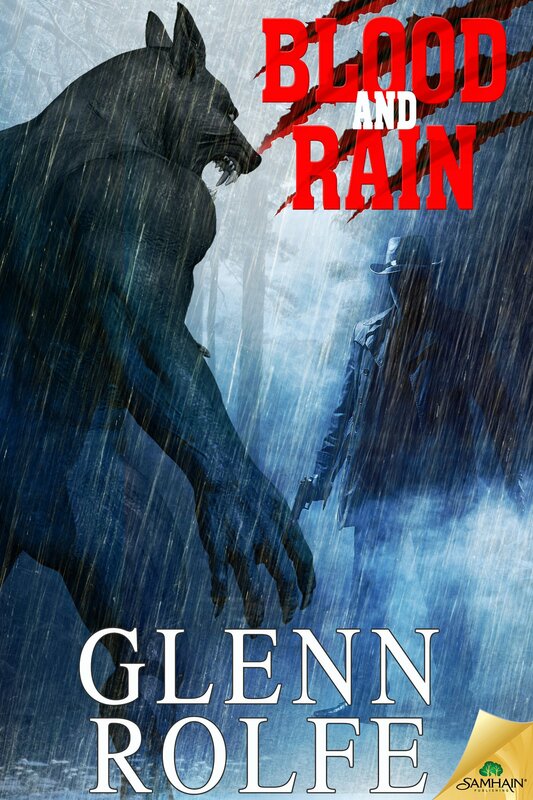 Okay, so I saw this book was available for review from Samhain and thought, “why not?” I’ve read other books by Glenn Rolfe in the past and have enjoyed them immensely. First, let me say this is not just another werewolf story, Rolfe has manage to take the werewolf to a-whole-nother level, no stake in the heart and it’s done found here. His writing style reads like a book just begging to be adapted to the big screen, and this particular story would definitely be one I would see! Joe Fischer is a small town sheriff in Maine, a single father with a teenage daughter named Sonya. Things have been rather quiet these past few years in Gilson Creek, but it wasn’t always this way. A few years back there was a rash of wild animal maulings causing the town to go into a panic until the then Deputy Fischer was able to put the beast down. But of course, that is all about to change. It all starts when a tree comes crashing down across a rain-slicked back road. Brian, a traveler passing through has just avoided a near miss, only to come face-to-face with a creature beyond his comprehension. One look at the “crash” scene is all it takes for Sheriff Joe to realize his worst nightmare has come back to life! Over the years, the townsfolk have created an urban legend out of the past events involving the aforementioned animal maulings. Little do they know, how close to the truth they are. Now Joe must make a decision, does he battle the creature alone, or does he enlist the aid of his fellow officers, and what about the rest of the populace, how much should they be told in order to protect themselves? This is a fast-paced story, with deaths mounting and time running out, we follow Joe as he draws upon his inner reserve to protect the ones he loves. There are twists and turns that will keep you guessing until the end how this will all play out. For those of you that are fans of the classic monster stories of old, this is one to read. Glenn has brought the werewolf into the modern day! Blood and Rain will be released Oct. 6th, but is now available for pre-order here. Thanks for reading Blood and Rain, Paula! And so everyone know….The eBook is available for pre-order everywhere. Print pre-orders will be available Sept 6th. The book releases October 6th! Aarrooooo!